The gallery appears to be correct until a refresh of the page is done. 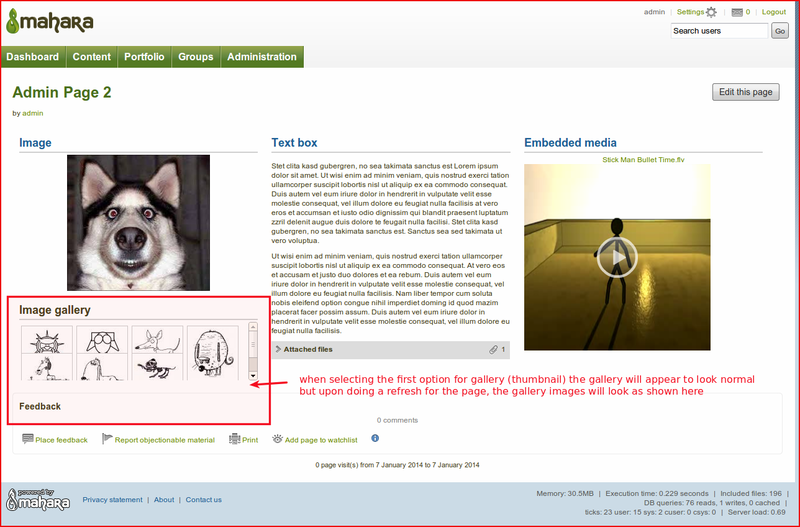 The gallery will then overlap the images and descriptions and display a scroll bar to the right of the gallery. I'm able to replicate this issue sporadically, and it's not limited to Profile pages, but can happen on any page. It seems to happen if the width of the images in the gallery is wider than the space the layout makes available for its column. Happens to others as well. Is there any progress on this. When might this be released? You are welcome to test those on your instance and help us verify them. Patch 3515 needs to be re-fixed. Once they are done, we'll backport them and they will then be release in a minor point release.